The Historic Inns of Annapolis were once personal residences of lords and governors, and a frequent stopover for signers of the Declaration of Independence. Today, they have been transformed into three charming, historic inns that will take guests back in time. 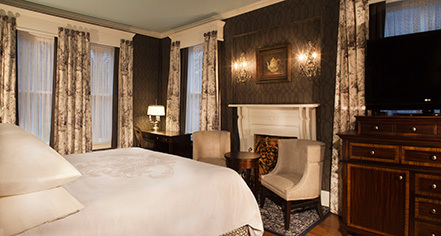 The Inns feature 124 guestrooms, all handsomely restored and tastefully furnished in original and reproduction antiques. At the same time, all guestrooms offer modern conveniences, including private baths, telephones, cable television, and complimentary WiFi. The historic atmosphere continues at the Treaty of Paris restaurant, the Drummer’s Lot Pub, and Starbucks - all located in The Maryland Inn. The conference facilities offer a charming atmosphere for parties, business meetings, and other events. All of the Inns’ facilities are clustered around two circles in the heart of Annapolis, convenient to all of the town’s quaint shops, historic attractions, and colorful waterfront. Two of the Inns face the state capitol, where the Treaty of Paris was ratified in 1784, officially ending the American War for Independence. Adjoining Rooms: Adjoining rooms are available. Please nofity request at time of booking. Parking: Valet parking: $29 per vehicle per night (In/Out privileges). Please contact the hotel directly for any questions related to oversized vehicles or vehicles with bike racks, roof racks, etc. Street parking and local garages are also available and in walking distance to the inns. Shuttle Service: Free Shuttle Service within Surrounding Area (Based on Availability). Smoking Policy: Non-smoking property. Smoking is not allowed in the rooms. The Historic Inns of Annapolis were once personal residences of lords and governors, and a frequent stopover for signers of the Declaration of Independence. 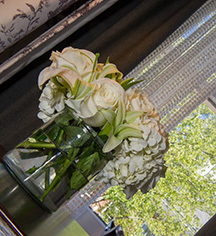 Today, they have been transformed into three charming, historic inns that will take guests back in time. Learn more about the History of Historic Inns of Annapolis .